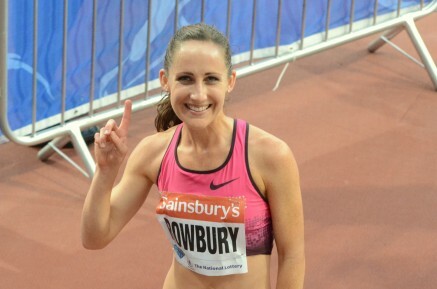 1st March 2015 – Shannon Rowbury (USA) and Matthew Centrowitz (USA) capped near perfect indoor campaigns by claiming the US 1 mile titles in Boston over the weekend. Shannon had been unbeaten by an American all year and was not going to start here. After a slow early pace she went to the front with 600m remaining and immediately began to wind the pace up. At the bell she was followed by fellow PACE athlete Jordan Hasay (USA) who was also in the scrap for the medals. Shannon brought the race home in 4:34.40 as Jordan was just run out of the medals taking fourth in 4:36.48. Matthew led early on in his final but found himself in sixth place at half way. However a powerful move towards the front put him back in contention and from 600m out he was never headed. Matthew looked smooth through the line crossing in 4:01.40 to claim his maiden indoor title. Shannon was not content with just the one title and returned the next day to also pick up the 2 miles. Here she was again made to work hard by Jordan Hasay and the two of them gapped the rest of the field over the final 400m. Shannon broke the tape in 9:43.94 closely followed by Jordan in 9:44.69 who claimed the medal that her weekends work deserved. At the Worlds Best 10k in Puerto Rico Commonwealth 10,000m Champion Moses Kipsiro (UGA) finished fifth and making her return to international competition after nearly 2 years away Vivian Cheruiyot (KEN) was seventh. Opening their 2015 outdoor campaigns the PACE trio of Usain Bolt (JAM), Kemar Bailey-Cole (JAM) and Mario Forsythe (JAM) combined with Warren Weir to form the Racers Lions 4x100m team that finished second at the Gibson McCook Relays.